The eighteen chosen lifestyle bloggers were split into two groups and the special photowalk was held last February 3 and 4. 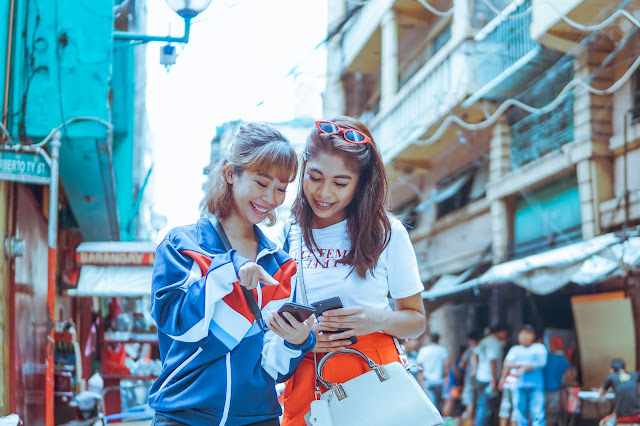 The lifestyle bloggers were also thrilled to capture the charm of Manila Chinatown using their Vivo smartphones especially the 24MP front camera that is not only perfect for selfies but it also features portrait bokeh that makes the pictures stand out. The smartphone's features is also akin to that of a DSLR especially the professional mode. Here. the phone's camera allows the user to use the manual mode like he/she would use an actual DSLR- adjust exposure, ISO, white balance and focus mode which in turn produce stunning photos. Not only that, Vivo's signature Face Beauty spec ensures that anyone's selfie game is flawless with its natural face enhancements, as well as Groufie technology that boasts of panorama-panning for big group shots. 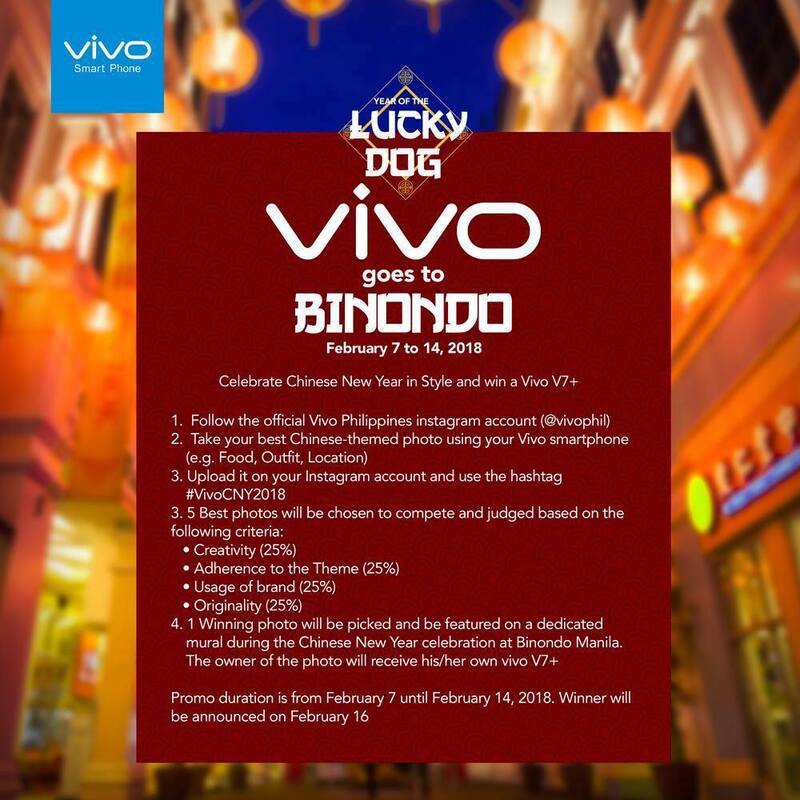 The special photo contest for the lifestyle bloggers brought out the creative juices of each participants as they posted their best Chinese New Year-inspired photos and posted them on their respective Instagram accounts that aims to entice their followers to upload on the IG accounts CNY photos for a chance to win a brand new Vivo V7+. More than 200 entries was upload on Instagram by February 14 and the participating bloggers chose the top 4 most creative photos and from there, the winner of the Vivo V7+ was chosen. 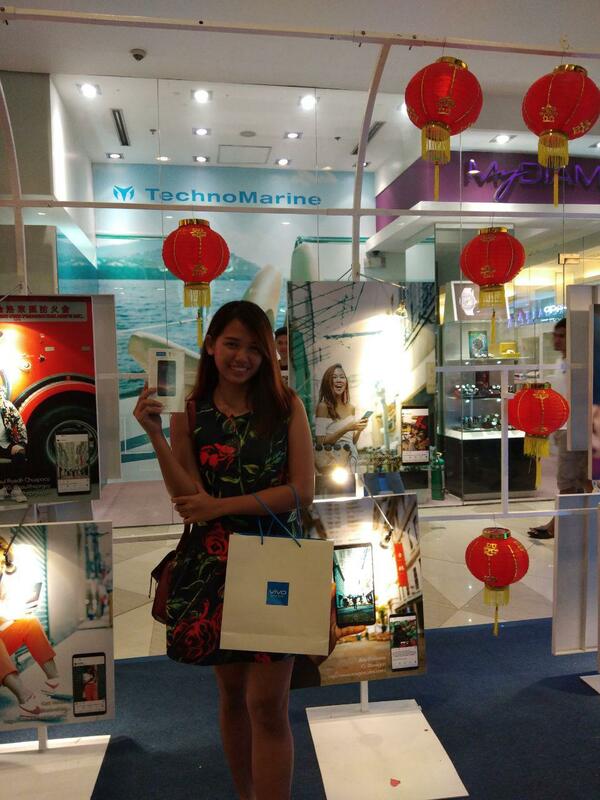 The announcement of winner coincided with Luchy Chinatown Mall's Chinese New Year festivities last February 16. Winning entry was captured by Angela Palacio that captured an illuminated stretch of red Chinese lanterns using her Vivo V5.